Once the war was over, Riley were one of the first manufacturers to launch a brand new model. 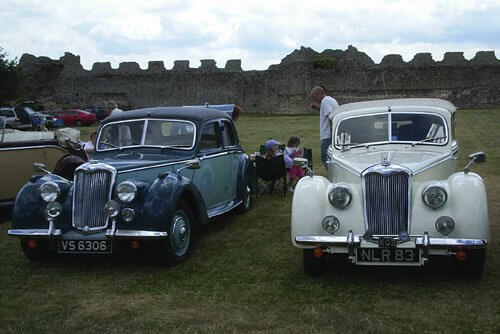 The RM series had been developed during the war as it was all too clear that the Nuffield Saloon and Drophead models were old fashioned, and unloved. The resulting range was a revelation, offering 100mph with the 2½Litre engine, and so being a true sports saloon of the type that Riley was so famous for. Riley RM Specials The many non-standard different bodies that are found on Riley RM chassis, from Limosuines to Shooting Brakes and 1½ Litre Dropheads.